Providence School of Arts Academy of Dance offers students a well-rounded curriculum in dance. Young dancers will acquire a solid foundation as they learn body awareness, proper technique, artistry, musicality, and expression. Program offerings include Ballet, Jazz, Tap, Modern, and more. Students will showcase their progress during parent watch weeks and at the annual Spring performance. Classes are taught by highly trained and qualified instructors. 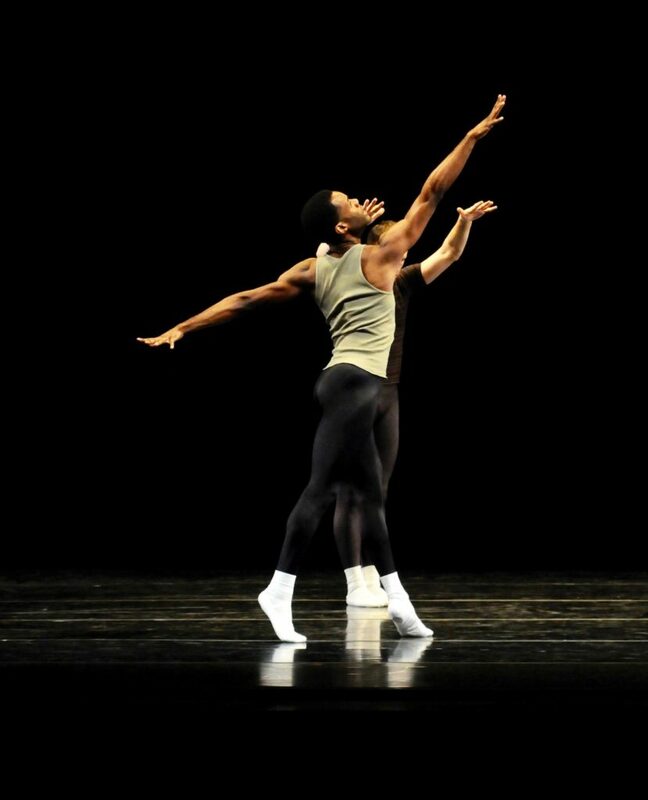 The program is directed by a former Kansas City Ballet dancer, school principal and master teacher, Marcus Oatis. The Preschool Division is an introductory dance program for children ages 2-5. Preschool students will learn and explore basic concepts of dance through the incorporation of lively music, singing, colorful props, stories, and movement language in a nurturing environment. This process will teach them body awareness and lay the foundation for dance. Our goal is for each child to improve in their coordination and artistry while gaining confidence. This class is structured for children who are ready to dance independently. Children are introduced to basic dance movement concepts that promote body awareness, creativity and self-expression. All lessons are structured around developmental benchmarks that promote the further development of attentional and motor skills.This class meets once a week for 45 minutes. Dress Code: Girls - Pale Pink short sleeved leotard w/attached skirt (i.e. Bloch CL5342), pink tights, pink ballet slippers, hair in neat ballet bun. Boys - Fitted white t-shirt, black biker shorts, white socks, with ballet slippers. The preparatory program is a specialized dance program for students ages 5-12 . This program is designed to develop a strong foundation of technique and movement vocabulary which produces well-rounded young dancers. Students will progress through a level-based curriculum of classical ballet, enriched by several other dance techniques to include modern, tap, character, and West African. Students in this level will be introduced to the basic structure of dance and will learn basic dance terminology. Students will also develop proper technique and coordination for motor skills to include skipping, jumping, and leaping. All classes will be concluded with an imaginative exercise where students will further develop their performance skills. This class meets once a week for 45 minutes. Students who participate in Level 1 now begin their formal ballet training. Students will learn the basic body positions, correct body alignment, ballet terminology, and proper classroom etiquette. Additionally, students will further develop their rhythm and musicality through the study of tap during the last 15 mins of class. Dress Code: Girls - Lavender tank sleeved leotard, pink convertiable tights, pink ballet slippers, ``ribbon tie`` tap shoes, hair in neat ballet bun. Boys - Fitted white t-shirt, black biker shorts, white socks, with ballet slippers, tap shoes. Students in this level will be introduced to the ballet barre. Students will continue to increase their ballet vocabulary as well as develop strength, flexibility, coordination, and proper placement. Additionally, students will have the opportunity to develop their movement vocabulary through the study of Jazz dance. Dress Code: Girls - Light Blue tank sleeved leotard, pink convertiable tights, pink ballet slippers, black jazz shoes, hair in neat ballet bun. Boys - Fitted white t-shirt, black biker shorts, white socks, with ballet slippers, black jazz shoes. This class meets twice a week. Not ready to make a commitment? Try one on us! Schedule your FREE TRIAL today. Mr. Oatis has enjoyed a successful career as a professional dancer and educator. Mr. Oatis was able to perform works by esteemed choreographers such as Val Caniparoli, Bruce Marks, Peter Martins, Robert Hill, Ib Anderson, George Balanchine, Twyla Tharp, and Yuri Possokhov. Mr. Oatis’ most notable roles were as the Russian in Todd Bolender’s The Nutcracker, Jessica Lang’s Splendid Isolations III, the Moor in Jose Limon’s The Moor’s Pavane, Jerome Robbins Afternoon of a Faun, and the Elegy Boy Balanchine’s Serenade. Mr. Oatis has performed with the Kansas City Ballet, Owen/Cox Dance Group, Arcanium Dance Project, and Central Dance Theatre. Mr. Oatis has worked with children of various ages and abilities for over 15 years. He has created a syllabus that combines French, Russian, and American styles that fosters technical proficiency and artistry. Some of Mr. Oatis’ students have joined professional companies to include San Fransisco Ballet, Joffery Ballet, Dallas Black Theatre, and St. Louis Ballet. Additionally, his students have been accepted into collegiate dance programs at Indiana University, University of Utah, University of Missouri-Kansas City, and Butler University. Mr. Oatis brings his teaching and leadership experience from the Kansas City Ballet School, Omaha Academy of Ballet, Kansas City Friends of Alvin Ailey, Ailey Camp, and the University of Missouri-Kansas City. Mr. Oatis is excited to continue to pass down his knowledge and expertise to his students and faculty.